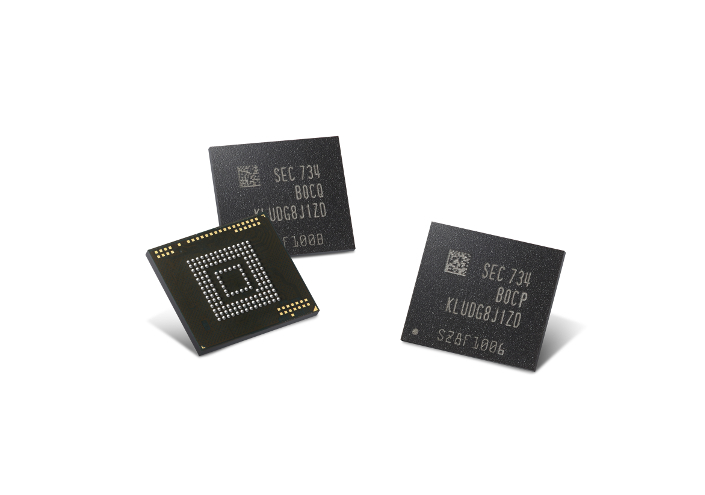 Samsung today announced that it has started producing the industry’s first embedded Universal Flash Storage (eUFS) solution that’s meant to be used for next-generation automotive applications. It’s producing 128GB and 64GB versions of the memory solution. Samsung’s new eUFS solution has been designed for advanced driver assistance systems, next-generation dashboards and infotainment systems that provide a wide range of connected features for drivers and passengers. Embedded UFS memory solutions have been used in mobile devices since early 2015. The high performance of the UFS solution has led to its wide adoption initially from flagship smartphones to now in mid-market devices. Samsung’s new eUFS solution for cars will provide enhanced data transfer speeds and data reliability. The new Samsung 128GB eUFS has a read speed of up to 850 MB/s. That’s nearly 3.4 times faster than the 250 MB/s speed of today’s eMMC 5.0 solutions. The new solution also offers almost 6.3 times faster random reading compared to eMMC at 45,000 IOPS. There’s a temperature sensor inside the chip’s controller to provide highly reliable temperature control. This prevents the chip from crossing well-defined upper and lower temperature boundaries. “We are taking a major step in accelerating the introduction of next-generation ADAS and automotive infotainment systems by offering the industry’s first eUFS solution for the market much earlier than expected,” said Jinman Han, Senior Vice President of Memory Product Planning & Application Engineering at Samsung Electronics.